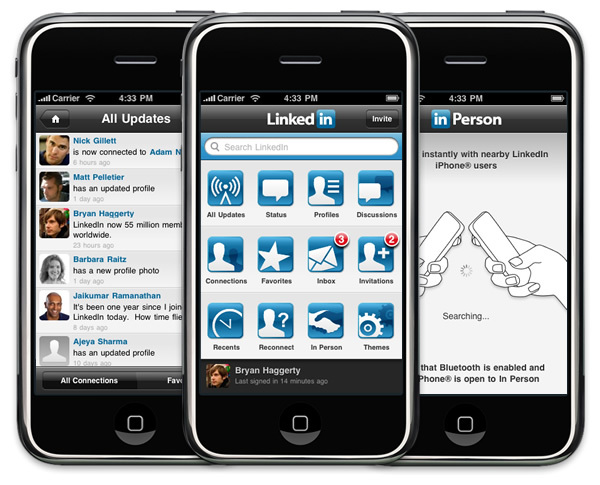 LinkedIn 3.0 for iPhone is now available on the App Store. Great work from my fellow Mobile team members. My primary role on the project was designing the user interface but I also dabbled in the code as well. Design lead at Twitter. Follow @bhaggs. Connect on LinkedIn. Email at .